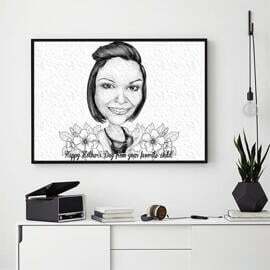 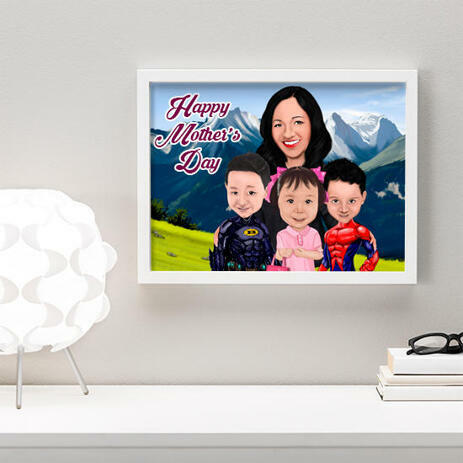 Get a personalized and very funny caricature drawing of your family, which can be depicted in colored digital style from regular photos by Photolamus and printed on a photo paper of any size upon your wish. 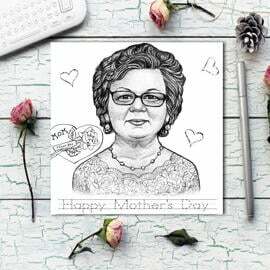 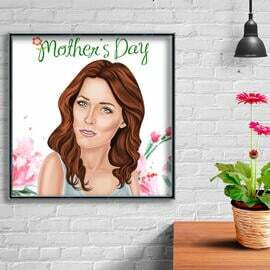 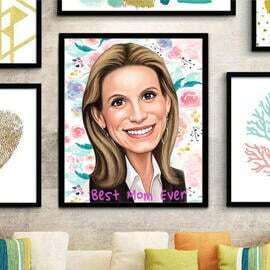 Photolamus will draw a fantastic caricature illustration of group of people in honor of Mother's Day, featuring specific text and flowers. 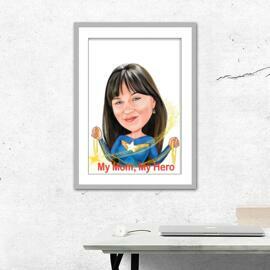 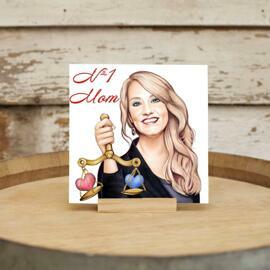 Ready-made photo print is a good idea to make a memorable gift, which will be adored by your mother. 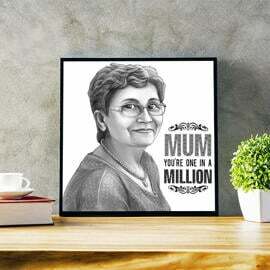 Photo print will be delivered by post after your approval. 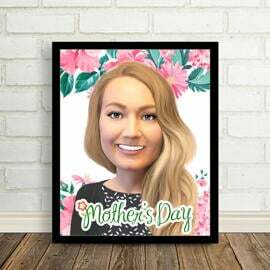 Thus, you have to give us a green color for proceeding with printing within 5 business days once you will get an email with your digital drawing delivered as JPEG File.